Anabolic steroids are the drugs which are similar to testosterone and are generally given to patients who have testosterone deficiency. Doctors often prescribe anabolic steroids to boys having certain genetic disorders or children who have a delayed puberty. The inhibition of natural hormones is one of the major side effects of anabolic steroids. Our body’s endocrine system automatically shuts off natural hormone production when we artificially inject hormones into our body. There’s a particular process called ‘Homeostasis’ which our body conforms to. Whenever there is an excess of a certain hormone, the endocrine system of our body puts a check on the organ or gland which produces the hormone. Since anabolic steroids are a testosterone supplement, the body sends a message to slow down natural testosterone production by the testicles. Only when a person completely stops taking anabolic steroids, the inhibition on natural testosterone production is lifted. A number of research studies have pointed to the harmful effect anabolic steroids have on our liver. Since our liver is essentially a filtration system of the body, any anabolic steroid which is ingested orally passes through the liver. Research has also shown that anabolic steroids reduce the excretory function of the liver. Especially the steroids containing 17- alky dramatically reduces the liver’s excretory function. Excessive anabolic steroids may even cause a cystic bleeding condition of the liver. 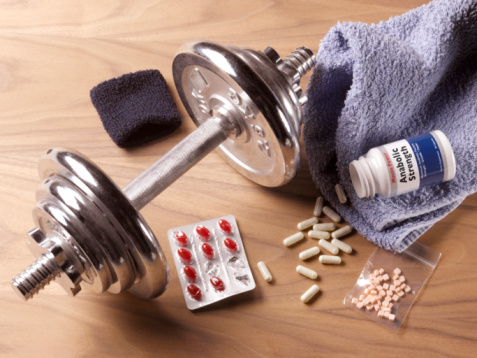 Anabolic steroids are known to reduce good cholesterol and increase bad cholesterol. The HDL cholesterol ((high density lipoprotein) is considered as good cholesterol whereas the low density lipoprotein or LDL is regarded as a type of cholesterol which leads to cardiac problems. The HDL on the other hand protects the arteries by channelizing unused cholesterol to your liver. Although a few steroids have a mild effect on blood lipids, the majority of steroids have harsh effect on HGH. Anabolic steroids can hasten the process of balding of the men who are predisposed genetically to balding. Anabolic steroids often contain Dihydrotestosterone (DHT) and DHT reacts very strongly with the scalp. Since a majority of steroids are derived from Dihydrotestosterone or are created from it, the chances of steroids eventually leading to baldness is quite high. Prolonged intake of anabolic steroids should be avoided by teenagers as some steroids have the potential to stunt growth rates. Particularly the aromatizable steroids contain ingredients which prematurely close the epiphysial cartilage, resulting in a shorter adult height of the individual. In most countries, anabolic steroids are only sold with a doctor’s prescription. However, a growing number of people are buying anabolic steroids for apparent health benefits without a doctor’s prescription.